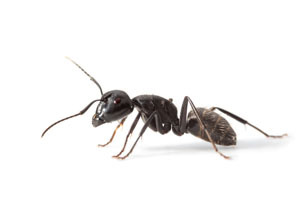 Have you seen ants roaming around your Waldorf property or inside your home lately? If so, you most likely have an ant infestation occurring. If left untreated, ant problems can become unmanageable, so it is always best to be proactive the moment you see ants. Ants tend to congregate around where food is stored or near entry points in your home. If you are seeing one ant occasionally, it may be a good idea to start checking around your home to find the point of entry. Different ants can cause different problems, the most common ant species in Waldorf being Pavement, Sugar, Pharaoh and Fire Ants. While some will just get into food, others may cause damage to your property and plants. Ants are looking for shelter and food. Your home and property have both your own food waiting to be eaten inside and fresh vegetation and nectar outside. All homes and properties are the perfect space for ants to take up residence and present an ant problem to those living on the property. Not only can an ant problem be annoying, it can also cost you money. Between ants getting into your food and causing you to throw away products. Ant infestations, if left untreated, can cause ants to cause havoc to your property, such as a garden, or the infrastructure of your Waldorf home, depending on the species. Whether you see one ant or ten ants, it is best to call a professional to ensure that all entry points are blocked off from ant entry and that you can reclaim your Waldorf home and property from any ant problems.